Written by Scott Joseph on 13 December 2017 on 13 December 2017 . The voters chose Reyes Mezcalaria as the best new restaurant. Reyes, you'll recall, took over the Citrus restaurant space last spring. It's a Mexican restaurant with a heavy tequila following, from owners Sue and Jason Chin. Coming in second was 1921 by Norman Van Aken, the Mount Dora restaurant from Florida's celebrity chef. And Luke's Kitchen and Bar from the folks who brought you Luma on Park and Prato, which is also on park, was third. The restaurants listed here are nominated for Best New Restaurant in Scott Joseph's Foodster Awards for Independent Restaurants. The nominees were chosen from among the notable restaurants that opened within the past 18months. Unlike other categories, write-in candidates for Best New Restaurant will not be accepted. To vote for a restaurant, click the box next to its name and then click the VOTE button. 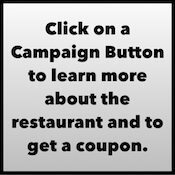 you may vote for only one restaurant. If the VOTE button does not show, it means that you've already voted for that category. After you place your ballot, leave a comment below telling us why you think it's the Best Restaurant Overall. Be sure to give the name of the restaurant in your comment, otherwise we won't know which one you're referring to. To thank you for participating, Scott Joseph's Orlando Restaurant Guide will give away a $100 gift card to the winner of the Best Restaurant Overall category. The winner will be selected by random drawing from among the list of Scott's e-letter recipients. If you already receive the weekly mailing, you're already entered to win. If not, click here and enter your email address; simple as that. Voting will continue through Jan. 10 and the winning restaurant will be announced in the Jan. 11 edition of the e-letter.